(NON-RETURNABLE) Jennifer Warnes became a household name in the '70s with her hit "Right Time of the Night." 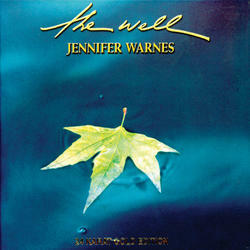 Originally released in 2001, "The Well" is a 10 song collection co-produced with Martin Davich. Includes one bonus track in a deluxe, hardcover book-style packaging with improved photographic elements and production notes in a 8 page booklet. Features guitarist Doyle Bramhall. 24K Gold CD.